After more than two years, my second book on weapon use and defense is finally finished: The Ultimate Guide to Weapon Use and Defense. My first book covered techniques, training methods, and strategies for unarmed self defense, awareness and prevention, and physically defending against an unarmed attacker with no weapon of your own. This second book starts where the first book left off, and covers both unarmed defense against weapon threats and attacks, and how to use weapons to defend against armed opponents. Although I find both books equally useful, particularly since the material covered is entirely different, and the first book has received very high ratings/reviews, the few people who have read the first book and draft copies of the second one have told me they like the second one even more. If you’re interested in weapon use and defense, I’m confident you’ll find this book extremely useful. It contains the most efficient and effective weapon techniques, training methods, and strategies you will find anywhere, for stick, knife, gun, and improvised weapons. You can find out more about the book, and purchase either a digital version or a hard copy here. If you have any questions, feel free to leave them in the comments below or contact me here. I posted back in February about my second book, covering weapon use and defense. I had hoped to be finished it by now, but it has taken much longer than I expected. I’ve been busy with other work, but I’ve also revised the organization of some of the material and realized I need to have more pictures taken before it is finished. One of the things I’ve recently revised is the way I name or categorize the steps of the 4 Step Matrix, which you can see in the graphic above. The 4 Step Matrix is a framework I use primarily for weapon based fighting, but it can certainly also be applied to unarmed fighting. Previously I had grouped the second and third steps under “covered follow ups”, but this new naming/categorization makes things clearer. Whether you’re training unarmed defense against weapons or weapon vs. weapon, you need to keep these 4 steps in mind. The steps may sound like common sense, but in many martial arts one or more of them are ignored. The first step needs to ideally begin outside of “fighting range”. You need to strategically enter to a position of advantage. That can be done offensively or defensively (counter-based, not entirely defensive), but it must be done purposefully. Unfortunately most systems in my experience tend to start where the second step of the 4 Step Matrix is concerned, where the fighters are close enough for their weapons to hit their bodies. When your strategy and techniques begin inside of fighting range, you usually end up overwhelmed or simply brawling. It’s like being dropped into a blender. Instead, you need to purposefully enter so that when contact can be made you already have an advantage, a good place to “fight” from. The second step, weapon neutralization, sounds particularly obvious. But it is so often ignored. One of the most common responses to my knife defense video on YouTube is that grabbing the opponent’s weapon bearing limb with two hands is stupid…that the opponent can strike with the other hand, etc.. What most people who make that comment don’t understand is that a proper two handed control with the proper body/head position prevents the opponent’s other hand from hitting you effectively. In addition, you’re not just going to stand there holding the guy’s arm. You’re going to quickly break his arm, etc.. But more importantly, if you do not control the knife (weapon neutralization) then nothing else matters! Whether it’s empty hand vs. knife or knife vs. knife, if you fail to neutralize the opponent’s weapon he can literally kill you as attempt to disable or kill him. He can make a move that kills you even after you’ve made a move that will eventually kill him. The third step, termination, is what nearly no one misses in theory. But again, if you forget the first step you’ll have a very hard time getting there, and if you forget the second step you may end up terminated too! The fourth step, a covered exit, is something that very few people practice. In theory it’s easy to take an opponent out, but what if he’s still moving? What if he is still able to inflict damage as he’s going down? What if he has friends? All four steps in the 4 Step Matrix are essential if you really want to maximize your chances of survival. I think referring to the second and third steps as weapon neutralization and termination makes that clearer than simply calling them “covered follow ups”. Regardless of whether you use the 4 Step Matrix as your own framework for weapon use and defense, I hope you’ll keep each of the steps in mind in your training and strategy. Even if you’re not “older” or suffering from health problems or injuries, weapon use is an extremely important part of physical self defense. What if you’re attacked by a bigger, stronger, faster, and more skilled opponent? What if you’re attacked by multiple opponents? What if you’re attacked by multiple armed opponents? Weapon use has been a part of most martial arts as long as martial arts have existed, and it’s something you should not neglect if you’re serious about physical self defense. 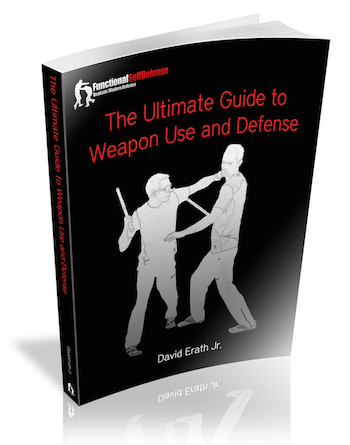 My first book, The Ultimate Guide to Unarmed Self Defense, covers unarmed defense against unarmed attacks. It does not cover defense against armed attacks or the use of weapons in self defense. I do have a great deal of information on using and defending against weapons here on my website, but a website isn’t necessarily the best or easiest medium to learn from. I haven’t posted in a while, because I’m spending most of my time working on my second book, which will probably be titled The Ultimate Guide to Weapon Use and Defense. I’m hoping to have it finished in the next 3-4 months. 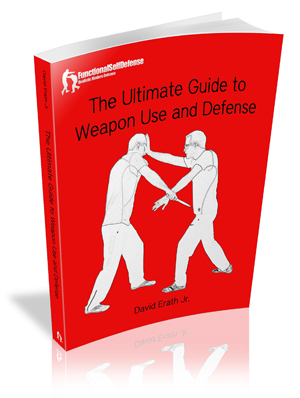 The book will cover unarmed defense against armed attacks (stick, knife, and gun), but also how to use blunt, sharp, and projectile weapons in self defense. If you’re subscribed to my site, I’ll let you know when the book is finished. Update: I’ve just added a new page to my website with part of a series of instructional pictures I had taken for the book on the use of double sticks. 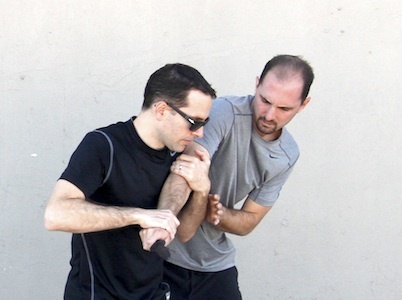 Double stick training is not necessary for self defense. It’s not something I spend time training anymore, but the training can be fun, it’s great for coordination, and many people enjoy it. The physical version of my book, The Ultimate Guide to Unarmed Self Defense, is finally out! You can see it here on Amazon. For all of you who don’t live in the US, it’s also available on the European versions of Amazon. The digital version is available for immediate download, for anyone, anywhere, here. If you take a look at Instructor David’s other videos, you see he is offering a lot of “meat,” really good techniques that other teachers would have held back. I thought about what he said for a while. And it’s true. But why would teachers “hide the meat”? Don’t they want their students to be as skilled as possible? I think there are a variety of reasons, most of which do not involve bad intentions. Most martial arts I’ve practiced hide the meat. And the meat is often hidden in a large pile of inedible material. Honestly, I don’t think most teachers even realize it. They teach what they were taught. Especially if they don’t test their material, they may not even know the difference between the meat and all the other stuff. Many of them think that it’s all meat, so they’re not purposefully hiding it. I was hanging out with my sister and a good friend. All three of us were instructors at the same martial art school. We had already been branching out and trying to find the best material we could, but we were all still only teaching that one style (which was self defense focused). It was around midnight, and my friend was just opening the front door to leave. Right as he opened it we heard BAM! BAM! BAM!, and then tires screeching. A guy had just been shot walking in front of my house, an innocent guy in a robbery attempt. We talked about it. What would have happened if my friend had walked out just a couple of minutes earlier? Would he have tried one of our gun threat defenses? One of the ones that we taught? Would it have worked? Would he be alive or dead if he had walked out just a couple of minutes earlier? Very shortly after that incident the three of us quit teaching at the school we had been teaching at. The material wasn’t bad. It worked for many people who used it in self defense. But we knew it could be better. We decided to make “efficiency and effectiveness” the core concept of our training and teaching. We needed to. The “problem” in my experience, is that most traditional martial arts teachers don’t need their material to work. It’s different for martial sports/combat athletics. Since their practitioners compete they do need the material to work, and it does work for what it’s designed for. When the meaning of a thing changes, when you use it for something else, it’s easy to lose sight of the original purpose. For most people teaching and practicing traditional martial arts, they don’t need them to work. They practice for other reasons…for fun, for exercise, for a sense of belonging. So they don’t realize the difference between what works and what doesn’t, what is meat and what is not. Because for them, it is all meat. It is all fun. It is all good. And it all looks like it works, because it works in the training room, in a cooperative environment, in a conditioned environment. When you’re doing or teaching something for fun you can come up with all sorts of fun/cool techniques and drills that really have nothing to do with functional self defense. Again, on the surface though, they appear to. A week or two ago, a former student, cop, and friend of mine sent me a video from a popular Filipino martial arts instructor showing how to use a baseball cap/hat as a weapon. A couple of the techniques were fine…throwing the hat at an opponent to distract him before nailing him, etc. And the instructor did make a comment about “having fun”, about training for fun, so maybe the rest of the techniques were more for fun than anything else. Nevertheless, the rest of the techniques were very ineffective and a waste at best, if not downright dangerous to even try in self defense. I wrote back something along the lines of, “Just because you can use something doesn’t mean you should.”. But it looks cool. It looks fun. It probably is fun to practice! However, it’s not functional for self defense. It’s just that most people don’t think enough about these things, because they don’t need to. I was fortunate to have a Pekiti Tirsia instructor who was ok with teaching me whatever I wanted to work on…just the meat. But when I went to Pekiti seminars, I felt 16 hours were spent going over relatively ineffective variations of core techniques and concepts that could have been taught in 1 hour, and then trained for 15 more. Instead, in my opinion, most students came away with a TON of memorized combinations, many of which were ineffective. Why? Why invent all these combinations for students to learn? I can’t say for sure, in the case of Pekiti. You could argue that each combination has a principle or concept embedded. But, just teach the concept in its purest form! Then, it can be applied to anything. That is, if the concept is functional. Regarding teachers purposefully holding material back, in this day and age I would hope that’s a minority of teachers. That’s just a disservice to students, and to me, a sign that they don’t really know what they’re doing, that all they have are a few tricks. I started practicing martial arts for self defense, and my goal has always been to teach functional self defense rather than material that looks cool, takes a long time to learn, etc.. I want my students to be able to defend themselves as quickly as possible. So it makes sense to “offer a lot of meat”. What’s equally important to realize, is that the vegetables and fruit are even more important than the meat! You need all three to achieve a healthy balance, and then everything becomes clear. Here is a video I’ve just uploaded on empty hand techniques and applications of kali. Whether you’re interested in kali, practice it, or not, these techniques can work very well in self defense. (I’ve also just added a new page to my site with more information and examples of kali empty hands.) The triangular footwork used in the “#3 cover” and in the “covered entry”, demonstrated in the video, is relatively unique and very effective, especially when combined with functional empty hand kali techniques. As in many of my videos, I’ve also demonstrated commonly trained kali techniques that do not work well in self defense. I’ve gotten a few complaints about this in previous videos, where viewers have said there is no need to put down other techniques or styles. I disagree. When people practice techniques that don’t work, I feel it’s important to demonstrate why they don’t work, not only so practitioners can abandon particular ineffective techniques, but also so they generally understand what works, what doesn’t work, and why. If martial arts are only being practiced for fun and enjoyment, it doesn’t matter if the techniques are functional or not. But if they’re being practiced for self defense, it does matter. The techniques in the video above follow the Covered Blast concept. Against punching attacks, they work no matter how an attacker punches. It doesn’t matter whether he throws a left punch, a right punch, a straight punch, or a hook. It doesn’t matter if he tries to throw one punch, or 10 punches. The combination of footwork, cover, trapping, and striking maximizes the chance of success while minimizing the chance of injury. If you’re training for physical self defense, a significant portion of your training should involve the use of weapons. It’s important to know how to use weapons for self defense, as they give you a tremendous advantage, and knowing how to use them will ensure that you and your training partners can realistically attack each other with them. In order to train hard, realistically and at random, but still safe, you need padded training weapons. Otherwise, going full power will be too dangerous. Padded weapons can be expensive, and when I was teaching full time I went through them pretty quickly. Eventually, I started making my own training weapons. They’re every bit as good as most of what you’ll find for sale, but they’re way cheaper, easy to make, and you can make them in any size you like, to represent any weapon you can imagine. In the image above, you see a couple of training sticks/swords and knives. Notice how I cut the insulation to leave space for my hand to grip the weapon. I like to have a bit of padding on the bottom portion of the stick, as I use this to strike and “hook”/grab my partner’s neck, arm, etc. In the images above you see standard length sticks and knives. 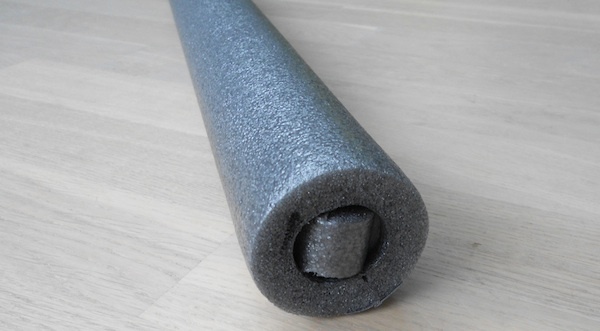 But you can also use the same materials and a bit of imagination to make all sorts of cheap, padded training weapons. I’ve recently added the video above to my knife page, covering common knife vs. knife techniques and training drills, why many of them won’t work in reality, and functional unarmed defense against knife attacks. In addition to the specific techniques and training methods shown in the video, it demonstrates a number of important concepts that can and should be taken into account in all self defense training. Common knife training isn’t unique in that it doesn’t apply well in reality. Most martial arts don’t work in self defense. So it shouldn’t be surprising that styles that focus on or include weapons training are any different. In fact, the inclusion of weapons often makes systems worse, since it’s even harder to train realistically with deadly weapons. When you can’t slash or stab your partner with a real knife, for example, it’s easy to make something up that may sound good, but turn out to be inaccurate. The inability to train with live weapons also causes people to do things they’d never actually do if the weapons were real. Those issues combined with the usual ineffective training due to low levels of resistance, cooperative training partners, and martial arts group-think, are particularly problematic. Many people are taught and/or assume that getting slashed or stabbed with a knife will stop an opponent immediately. It rarely will. I’ve known a few people who were stabbed, and read about many more, who didn’t even realize they were stabbed until after the encounter was over. I was with a guy once who was shot next to me. We ran a couple of blocks and then stopped for a moment, before he realize there was a hole blown straight through his hand. Lots of knife training drills, from long range sparring to “defang the snake” patterns, are based on the opponent being immediately disabled with a single unattached technique. Aside from this unlikely possibility, what if you miss? What if your opponent is wearing thick clothing? If you’re going knife vs. knife and you either miss or your opponent isn’t instantly disabled, what position will you be in? Will your failed action be an opportunity for your opponent? In many common knife drills, it will. Underestimating the extreme chaos and pressure of a real knife attack can be a serious, deadly mistake. When your training partner is cooperating with you, even if he is resisting (there is an important difference between resisting and being uncooperative), anything can work. Because most training isn’t taken to an uncooperative level, countless fantasy techniques and disarms have arisen. I’ve watched highly regarded instructors do completely unrealistic disarms one after another, as their cooperative partner pulls 10+ knives off his belt and gets repeatedly and instantly disarmed with each attack. 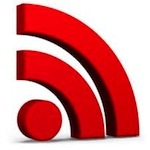 On my self defense training page, I mention the I Method for realistic training. After a practitioner is introduced to a technique, which should only take a few minutes, he should then move to the isolation phase, where the technique is drilled with progressive resistance. Eventually, in the integration phase, the technique should be trained against an uncooperative partner. In armed and unarmed training, it’s extremely important that the practitioner progresses to the level where he tells his partner, “don’t let me do this”. All of the fantasy knife techniques and crazy disarms would cease to exist if the attacker was told and honestly followed that one simple phrase: Don’t let me do this. In knife defense, the primary goal is not to get cut. The only way to avoid getting cut is to control your opponent. You can control your opponent via striking/slashing/stabbing/blocking…through unattached methods. But if you haven’t taken your opponent out, it will be a continuous battle in chaos, and the longer it goes on, the more likely it becomes that you’ll get cut. One of the quickest and simplest ways to get full control of your opponent’s knife bearing limb, is to grab his arm with two hands (as demonstrated in the video at the top of this post). Once you’ve got control of the knife, there are a great variety of ways to take out and/or disarm the attacker, that work under full, uncooperative resistance. It’s counterintuitive that unarmed knife defense can be safer than using a knife of your own, but putting something in your hand can limit the use of your hand as much as it can help, and when you need as much control as you can get, the limitations can outweigh the benefits. Give your partner a fake knife, tell him not to let you make your defense work, to slash and stab you like his life depends on it. Try getting the two-handed control, and I’m fairly certain you’ll find it works better than the vast majority of close range alternatives. I’ve written a lot about why most martial arts don’t work. In the post linked to above, Maija does a great job of explaining why that’s often the case, and what you need to keep in mind to make sure your training isn’t unrealistic. It’s a great post. Go check it out. Most of my blog posts recently have been about updates to my site, and this one is no exception. The new video above details the fundamental FSD progression for stick and sword work. I’ve posted the video on this page, where can you also read much more about FSD stick and sword training. Even if you’re not interested in stick fighting, learning to use blunt and sharp weapons is very important in self defense. See my weapons page for more on that. It demonstrates both ineffective and functional wing chun techniques and training methods. In the near future, I’ll be adding more techniques from wing chun to my site. Subscribers have also requested that I add techniques that allow a person to defend themselves without injuring their attacker. So that’s also one of the next things on my list. If you have any special requests for what you’d like to see, feel free to leave your requests in the comments here, subscribe to my site, or contact me here. Just a quick update here. I’ve added the above video to my site along with a new page on random flowing as a training method. Check it out!